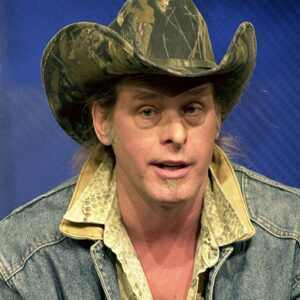 Ted Nugent appears to think that by siding with the commander-in-chief, the Army has done its own soldiers a disservice. "To think that there's a bureaucrat in the United States Army that would consider the use or abuse of First Amendment rights in determining who is going to perform at an Army base is an insult and defiles the sacrifices of those heroes who fought for the U.S. Constitution, Bill of Rights," the "Stranglehold" singer told the Associated Press in response to Fort Knox's decision to cancel an upcoming Nugent performance after his latest pot shot at President Barack Obama. Basically, Nugent maintains that what he said was not meant to be taken as a threat on the president. The Secret Service recently closed an inquiry opened after the rocker told an NRA convention that he would "either be dead or in jail" if Obama were to be reelected in November. "A whole bunch of us...believe...we are in danger of being improperly and criminally jailedâ"I mean, criminally on the part of the government," Nugent told the AP, calling the investigation into his remarks a "witch hunt." "There is nothing in my spoken word or written word that could be even wildly considered by any stretch of the imagination to be a threat to anyone," he added. Nugent was scheduled to play Kentucky's Fort Knox on June 23 with REO Speedwagon and Styx, both of which are still on the program. "After learning of opening act Ted Nugent's recent public comments about the president of the United States, Fort Knox leadership decided to cancel his performance on the installation," the base said in a statement. "Army Entertainment and the Fort Knox Directorate of Family and Morale, Welfare and Recreation remain committed to carrying out the June 23 concert, and the possibility exists that a replacement will be selected." Refunds were offered to any unhappy ticket holders.